London is in the South-East of England. 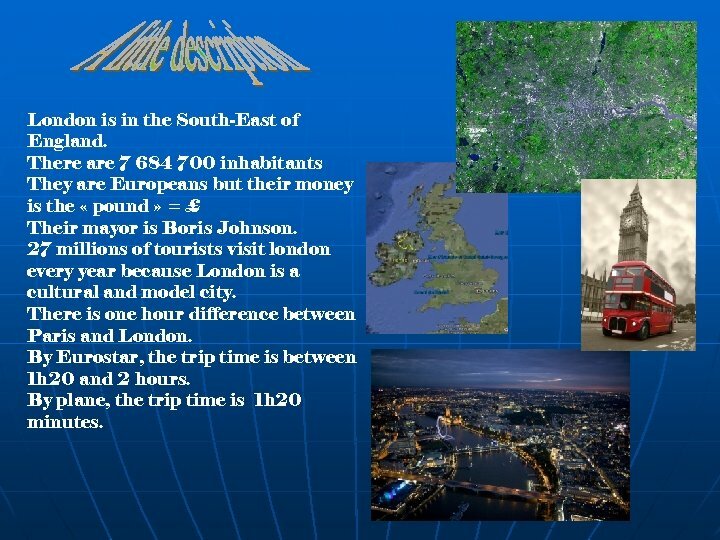 There are 7 684 700 inhabitants They are Europeans but their money is the « pound » = £ Their mayor is Boris Johnson. 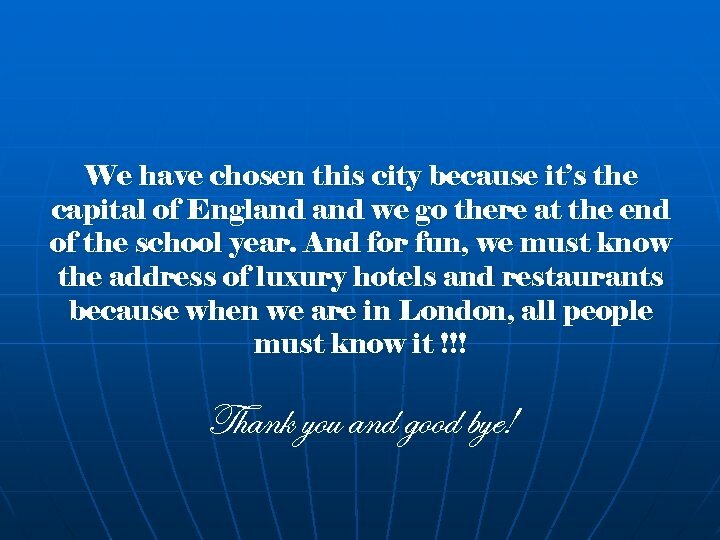 27 millions of tourists visit london every year because London is a cultural and model city. There is one hour difference between Paris and London. By Eurostar, the trip time is between 1 h 20 and 2 hours. By plane, the trip time is 1 h 20 minutes. 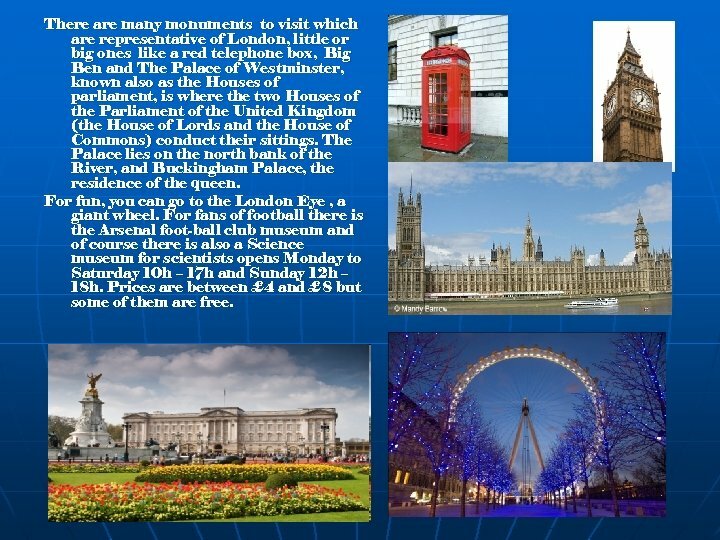 There are many monuments to visit which are representative of London, little or big ones like a red telephone box, Big Ben and The Palace of Westminster, known also as the Houses of parliament, is where the two Houses of the Parliament of the United Kingdom (the House of Lords and the House of Commons) conduct their sittings. The Palace lies on the north bank of the River, and Buckingham Palace, the residence of the queen. For fun, you can go to the London Eye , a giant wheel. For fans of football there is the Arsenal foot-ball club museum and of course there is also a Science museum for scientists opens Monday to Saturday 10 h – 17 h and Sunday 12 h – 18 h. Prices are between £ 4 and £ 8 but some of them are free. 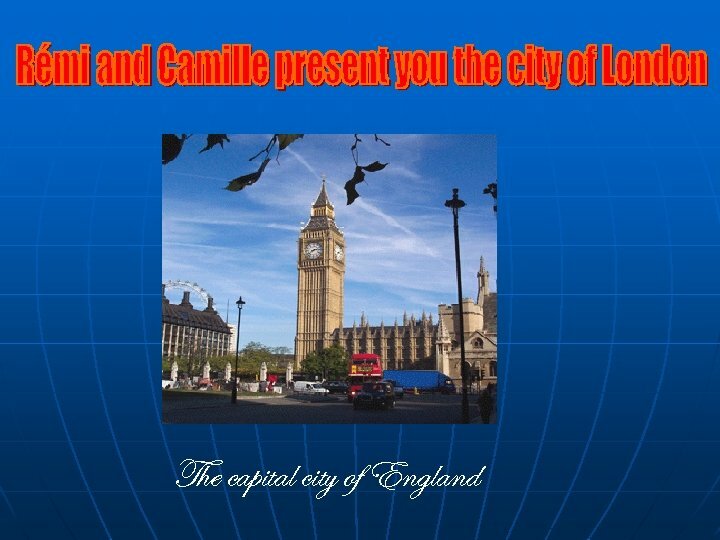 We have chosen this city because it’s the capital of England we go there at the end of the school year. 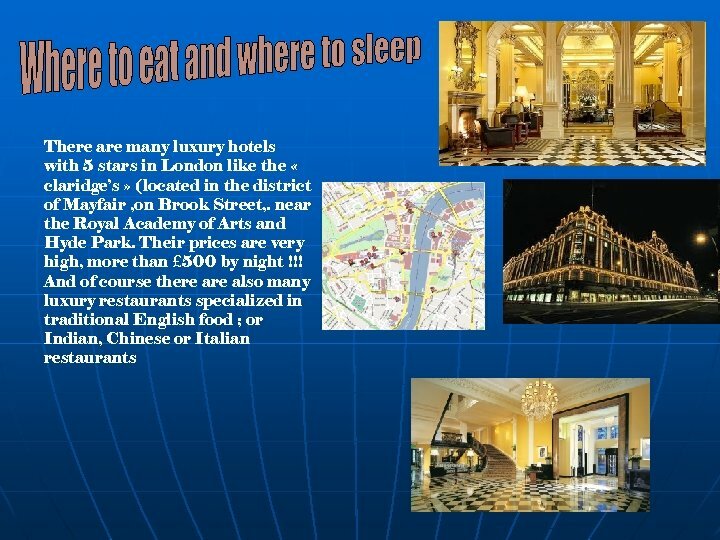 And for fun, we must know the address of luxury hotels and restaurants because when we are in London, all people must know it !!! Thank you and good bye!